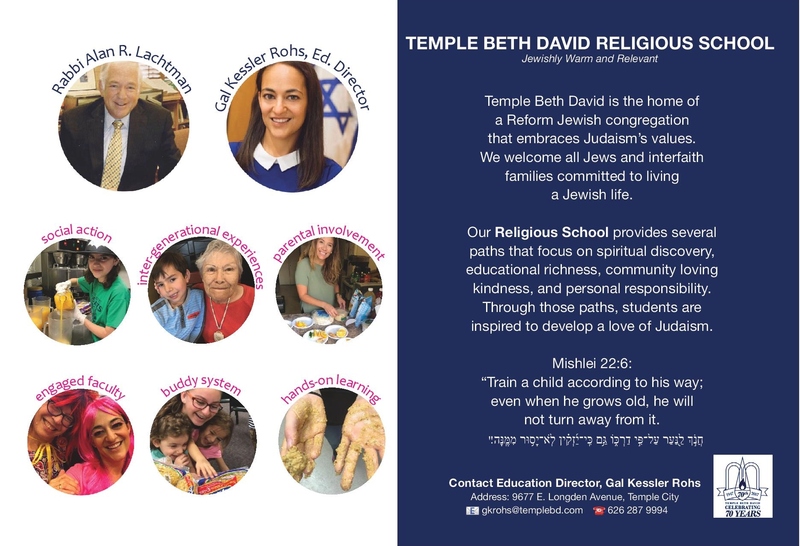 Temple Beth David is the home of a Reform Jewish congregation that embraces Judaism’s values. We welcome all Jews and interfaith families committed to living a Jewish life. Our Religious School provides several paths that focus on spiritual discovery, educational richness, community loving kindness, and personal responsibility. Through those paths, students are inspired to develop a love of Judaism. Not turn away from it.